Joyce Bost Hogan, prominent Marion business woman and owner of Hogan Florist, passed away in Statesville at Gordon Hospice House on February 2nd, 2019. Joyce was born in McDowell County on June 22, 1924, and grew up in West Marion. She was the last surviving child of the late Ernest and Carrie Whisenant Bost. Predeceasing her were her husband, Carroll, and 10 brothers and sisters: Katheryne Bost Watkins, Mable Bost Carson, Mack Bost, Con Bost, Hazel Bost Poteat, Dot Bost Packett, Ivis Bost, and Bud Bost. Charles Bost died in infancy. She is survived by 16 nieces and nephews and numerous grandnieces and nephews. One of eleven children, she was brought up in a Christian home. As a young girl she attended West Marion Methodist Church and West Marion Baptist Church. She loved music and along with her sisters, Dot and Ivis, and her brother Bud, formed a quartet when they were young, and they sang on the radio in Charlotte. Later her sisters and she became a trio and performed at church and in the community. She learned to play the piano, guitar, and violin. She could play just about any musical instrument she picked up! Later in life she became an accomplished violinist and played for a time with the Asheville Symphony Orchestra. She married the love of her life, Marion Carroll Hogan of Old Fort, in 1943, just a few days before he left to serve honorably in the US Army in Italy for 2 1/2 years. After the war, Carroll went to work for a local hardware store, and Joyce, at Bost Bakery. A few years later Carroll began working at Broyhill Furniture as a foreman. Joyce and Carroll began a florist business with their dear friends, Charles and Lily Mae Allman. What started as Allman Hogan Florist became Hogan Florist, which Joyce and Carroll operated until she sold the business at age 77. Joyce and Carroll were members of the choir of the First Baptist Church of Marion for many years. Later in life Carroll became ill and Joyce became his full time caregiver. She kept him at home and devoted all of her time to his care until he passed away. Although the Lord did not bless Joyce with children she had many nieces and nephews and other family members whom she loved dearly. 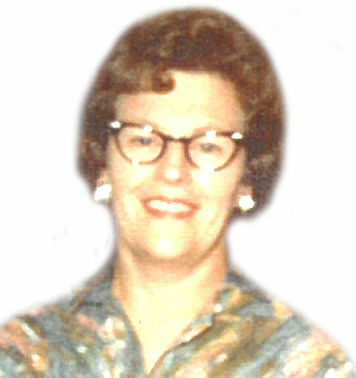 She became like a mother to some of them and she was always lovingly referred to by them as "Aunt Joyce." Services will be held at Beam's Funeral Services on Tuesday, February 5th at 2:00 PM. Visitation with the family will begin at 1:30 PM. Interment will follow at Western Carolina State Veterans Cemetery in Black Mountain at a later date. The family would like to thank the staffs of Autumn Care of Marion and the Gordon Hospice House of Statesville for their loving care of Mrs. Hogan. Memorials may be made to First Baptist Church and to West Marion Baptist Church. Beam Funeral Service & Crematory is assisting the Hogan family. For further information and/or to sign the online guestbook, please visit our website, www.beamfuneralservice.com, or call (828) 559-8111.